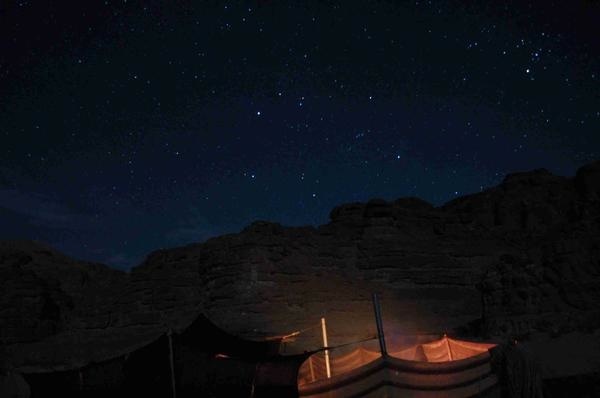 But what makes camping in the Sinai desert so awesome is the mild weather which allows you to sleep out in the open or under the cover of a traditional Bedouin tent where you still get a perfect view of the stars and planets. How far away we are from all of this in our modern cities and world…although it is the most basic and easily available thing for us, bringing us back to our roots. And how many people can boast about having a private staff of local nomadic guides who freshly prepare your food on a warm wood fire? You haven’t experienced luxury if you haven’t stayed for a night in the Sinai desert, a 1000 star hotel.